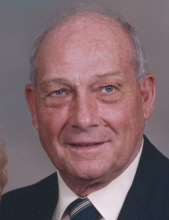 Cherryville – Mr. Larry C. Thornburg, 84, of E. Academy Street, passed away on Friday, April 12, 2019 at Hospice at Wendover in Shelby. Arrangements are incomplete and will be announced by Stamey-Cherryville Funeral Home & Cremation Service. To plant a tree in memory of Larry C. Thornburg, please visit our Tribute Store. "Email Address" would like to share the life celebration of Larry C. Thornburg. Click on the "link" to go to share a favorite memory or leave a condolence message for the family.